Placed in the foothills of the Garhwal Himalayas, Rishikesh is counted amongst famous tourist destination of India. Abundance of temples and ashrams can be found at this places which enhance the religious beauty and importance of this popular spot. 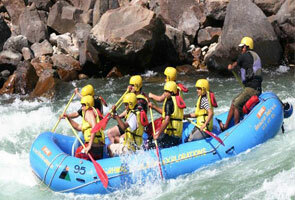 Thus is the best suited destination for adventure lovers as this is the home of enormous adventure activities. 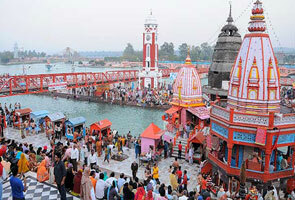 Majority of ancient religious stories are associated with this spot which will attract you towards visiting this place. It is an oldest Islamic shrine located in the midst of various Hindu temples and ashrams. Just by taking a 30 minutes drive you can reach this spot from Haridwar. This place is also referred as Piran Kaliyar locally. In case you are looking for the best picnic spot in Haridwar then going to this place would be your well-thought decision. You can spend quality time with friends, family, officemates at this place. You can easily reach to this place just by taking a 30 minutes drive. You’ll find this spot Haridwar-Rishikesh road. Chilla is a well-known wildlife sanctuary located in the Haridwar city of Uttarakhand state. Along with abundance in vegetations and wildlife, Chilla welcomes thousands of tourists every year. This place is expanded in 240 sq km of area. After going through this place, not only you’ll realize a variety of animal species but picturesque view of the Ganges and Northern Himalayas. Tehri Garhwal is one of the pleasant places in Uttarakhand state of India. The name Tehri is derived from “Trihari” which means a place washes three kinds of sins i.e. sins born out of Kamana, Vacha and Mansa. Tehri is headquarter of the district and is set up at an elevation of 1550 meters above sea level. This town is also called as city of lakes because various mighty rivers like Alaknanda, Bhagirathi, Bhilangna and Ganga are run through Tehri Garhwal. Devprayag is the most holy place of Uttarakhand which is the convergence point of two holy rivers i.e. river Bhagirathi and Alaknanda. The place is perched at an elevation of 472 mts above sea level and just 99kms away from Haridwar. 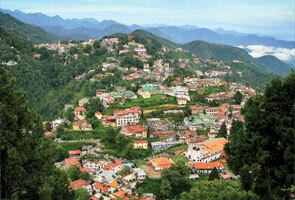 Almost 50 kms away from the Mussoorie, Chamba is the most-known place and emerging tourist hub in Tehri Garhwal. The place is located at an altitude of 1676 m above the sea level and known as an untouched, serene and unexplored destination of Uttarakhand, which is visited by thousands of customers every year. Probably you’ve heard about Mussoorie, a renowned hill station which is known as the best tourist destination in Uttarakhand. The lush Green hills, Doon Valley, picturesque beauty of Nature and the arresting view of Shivalik ranges are some of the factors associated with Mussoorie that catches the attention of thousands of domestic as well as international tourists to visit this place. This place is very close to Dehradun; only 35 kms away. Due to the exceptional view of mountains and natural beauty, this place is also acknowledged as the ‘Queen of Hill Stations’. Neelkanth Mahadev Temple is located only 38 kms away from Haridwar and dedicated to Lord Shiva. 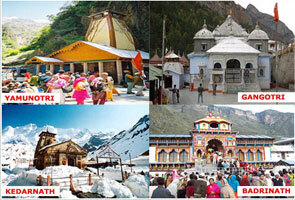 The place is visited by majority of devotees every year due to its immense religious significance. As per the mythology, this is the place where Lord Shiva drank the venom produced during ‘Sagar Manthan’.